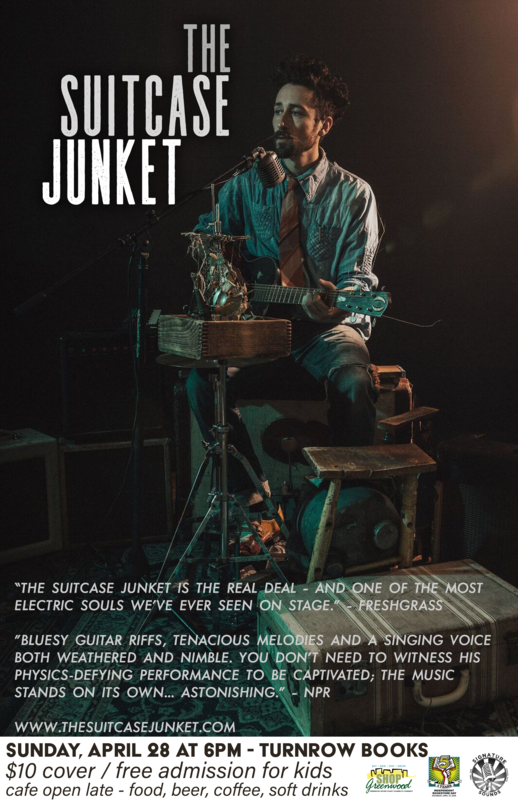 IBD 2019: Suitcase Junket LIVE | Turnrow Book Co. Doors open at 5:00. Cover charge $10 for ages 12 and up. Hot food and cold drinks for sale.